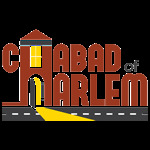 At Chabad of Harlem we are dedicated to serving the individual Jew living in Harlem with unconditional love, respect and concern. We are committed to promoting Jewish knowledge, awareness and practice, strengthening Jewish identity and pride, and affording every Jew the opportunity to experience the joy and vibrancy of his or her Jewish heritage. And we are dedicated to providing exemplary educational, religious, and community services, for the individual and for the family, regardless of background or affiliation. Chabad of Harlem pledges to fulfill the mandate of the Lubavitcher Rebbe by increasing in acts of goodness and kindness for all humankind; thus preparing the world for the ultimate redemption.